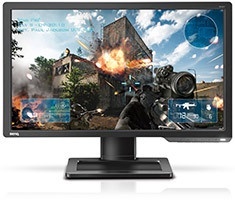 A gaming monitor that gives you no excuse to lose – the 24 inch XL2411 brings an unprecedented level of control and fluidity with perfect motion to help you conquer any enemy in FPS gaming. It is built with the latest Motion Blur Reduction technology, 144Hz, Low Blue Light, Gaming-comfort Flicker-free, Gaming Refresh rate Optimisation Management (GROM), VESA 100mm support and Display Pilot feature, offering agile performance, viewing comfort and convenience in one package. BenQ ZOWIE’s XL-series features the premiere e-Sports monitors for PC competitors, fine-tuned to guarantee the smoothest and responsive experience, and the clearest images to arm you for competition. Backed by a 3 year BenQ warranty.